SEO’s have always been tactical about how they use content, but they have become increasingly strategic and content-driven as digital marketing has evolved. 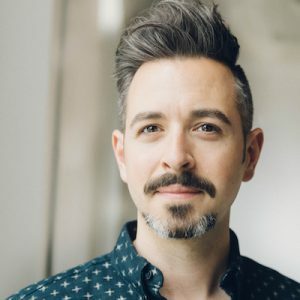 Rand Fishkin talks about “the SEO as content strategist” and much more, including empathy and teamwork, “10X Content,” voice search, and his thoughts on this week’s FCC decision to roll back net neutrality. Rand Fishkin goes by the ludicrous title, Wizard of Moz. He’s founder and former CEO of SEO software startup Moz, host of Whiteboard Friday, co-author of a pair of books on SEO, co-founder of Inbound.org, and serves on the board of the presentation software firm, Haiku Deck. Rand’s currently writing a book for Penguin/Random House on the ups and downs of startup culture, due out in 2018. In his minuscule spare time, he loves to travel with his wife, author Geraldine DeRuiter, and read about their adventures in her books and blog. Geraldine and Rand are also small investors in Backstage Capital and Techstars Seattle. 20:15 what’s helped him: ability to do many things himself – tech side is tough, but good at visual expression, good with spreadsheets, has a big audience, so surveys easy, a good network, so outreach for advice and amplification – e.g. JumpShot data dump – they gave him pretty clean data set that he can build cool things with (no click, ad click, organic click) which is mildly unnerving – search traffic growing but number of searches but fewer clicks – makes sense with snippets, etc. 33:50 keep the pressure up – be thinking long term about your barnacle content and SEO strategy – where might you need to be in the future – LinkedIn, WordPress, Twitter, Medium – they’re big, they’ll pay – need a barnacle strategy if/when this “dark path becomes a reality” – see Portugal, e.g. 35:30 – hint at his new venture in 2018 – stay tuned . . .